EARTH REAL TIME: Giuliani: "The radon emissions have increased, and 'it’s good to have prudence"
Here's what I brought to the attention a long time ago, about this long-standing and serious problem. PLANET EARTH AS THE DESTRUCTION OF THE PLANET Mallona ...!? IT COULD BE REPEATED!Among the countless news reports about this tormented planet, in recent times, another disturbing fact has emerged, and certainly not devoid of apocalyptic surprises. Experts of the EPA (Environmental Protection Agency) and the U.S. military in particular are very concerned about the increase in our planet of radon gas in the vicinity of polygons experimental atomic, nuclear power plants and also in the hangar of nuclear missiles. The harmful effects are numerous. Lung cancer is the best known as the Radon, despite being a noble gas and practically inert from the chemical point of view, the core has very unstable and therefore is radioactive. It is known that each reservoir of natural uranium, small or large it may be, is accompanied by the formation of a certain amount of this radioactive element which is formed together with other due to the decay of the nucleus, an activity that takes place in a totally natural and incontestable tending to the formation of more stable nucleus. However, in the number of nuclear transformations of uranium, it always appear that on the whole the Radon gas is the only element that escapes upward because it is very light. Efforts are underway in the meantime to publish booklets and distribute them to the public free of charge, especially in countries at risk, to clarify this new problem and to avoid exposure as much as possible. Yes, because this advertising emphasizes that in certain regions such as Cornwall (England) thousands of people breathe the air in their homes whose radioactivity is excessive and that is greater than that recorded on average in a uranium mine. The same goes for the military barracks that "host" nuclear weapons. What we mean is that these news, although it’s alarming severity, highlight a terrible disaster that could endanger the very stability of the planet. It could in fact reach a primer nuclear, spontaneous and uncontrollable, such to cause the disintegration of IT. It is a speech that was given to the competent authorities by Eugenio Siragusa, over twenty-five years ago, explaining that a catastrophic event like it was experienced by our solar system with the disappearance of a planet called Mallona. Scientists record and are unarmed to the increase in radon gas in our planet. Near the military Soviet atomic center in the region of Chelyabinsk, there was an explosion in a nuclear waste repository in durability. The explosion caused many deaths, the subsequent evacuation of the local population and the radioactive contamination of a vast territory in the southern Urals. Even today, the area infected is dangerous for anyone who goes through it. There was also the fact that the serious news was kept in secret for many years by various intelligence services not only the Soviets. The fact is important for us because we are talking about the outbreak of a radioactive waste repository, as a result of overheating (according to science terrestrial), were triggered spontaneously and then produced the disaster. In all likelihood the concept of overheating of the slag should be replaced with the effect of Radon, the gas that is released easily in the processes of atomic transformations and that interacting with the fissile material may cause it to burst spontaneously. It is certain that the proliferation of nuclear weapons, with its entire frame, is leading to the accumulation of fissile material a bit 'everywhere and then over time this could lead to a huge disaster in our solar system and beyond. 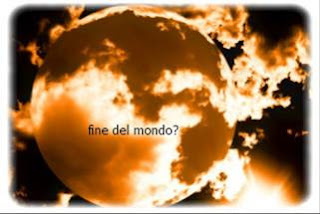 That's why so many appeals were launched by Eugenio Siragusa, the living point of connection of the extraterrestrial civilization, to prevent the recurrence of such a catastrophe. Mallona, ​​a planet that no longer exists and which countless asteroids have remained of it, occupying approximately 75 million (1 *) years ago orbit between Mars and Jupiter. One planet, which was as great as roughly the Earth, which was home to a relatively advanced civilization and who owned a nuclear science which the inhabitants were unable to use for peaceful and positive uses. It was precisely the accumulation of large deposits of radioactive material that, for interaction with the Radon gas, led to the spontaneous outbreak and then the disintegration of the same planet. We have already talked about this puzzling result in a study, entitled "The Elohim and the Plumed Serpent" (2 *), which deals with the evolution of primate man on the planet Earth and its genetic interactions with the survivors of the Mallona planet. Unfortunately, the mallona´s genetic has been continued and the man is now going to make the same mistake and that is the probable killing of a cell of the Universe. We repeat: Eugenio Siragusa also had this goal: prevent our free will repeat a tragic history caused by disobeying the Laws of the Cosmos. It is a serious fault that cannot be removed except by a severe enough punishment. Remember well: a highly evolved civilization has done its utmost to various times, so unobtrusive but very effective to reduce the disastrous effects on life in general, nuclear tests and not just those. Now, despite repeated the appeals, despite the overwhelming evidence that we have on the effects of radioactive, it is continuing undeterred in this dangerous road. So we expect a severe punishment because a planetary catastrophe, the solar system and therefore a part of the galaxy will be 100% prevented out by this highly advanced extraterrestrial civilization knowledge and belief: believe it or not!